Pantries | Donnegan Systems Inc. Built for your needs and appliances. We offer open wall cabinets that house your model of microwave precisely. We design base cabinets with steel toe kicks that stand up to repeated washing. We can make cabinet doors with frosted glass that suggest their contents but hide clutter. 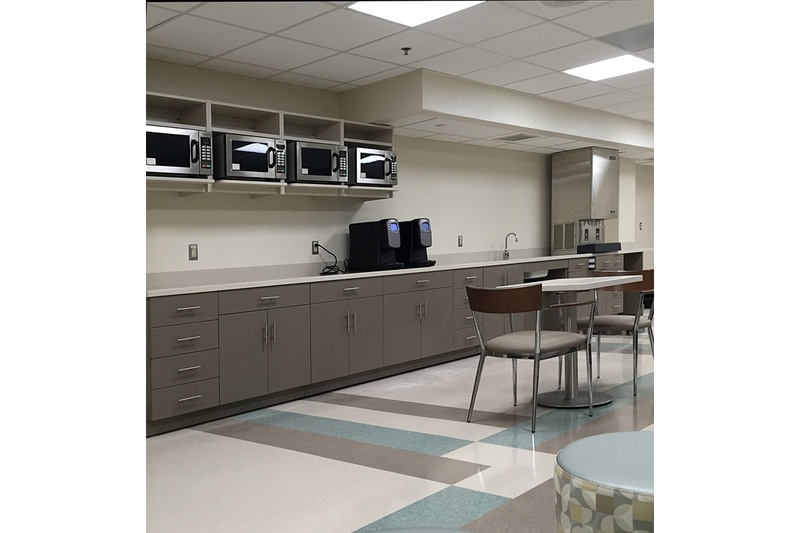 We can help you construct break rooms and pantries that streamline coffee and food preparation. 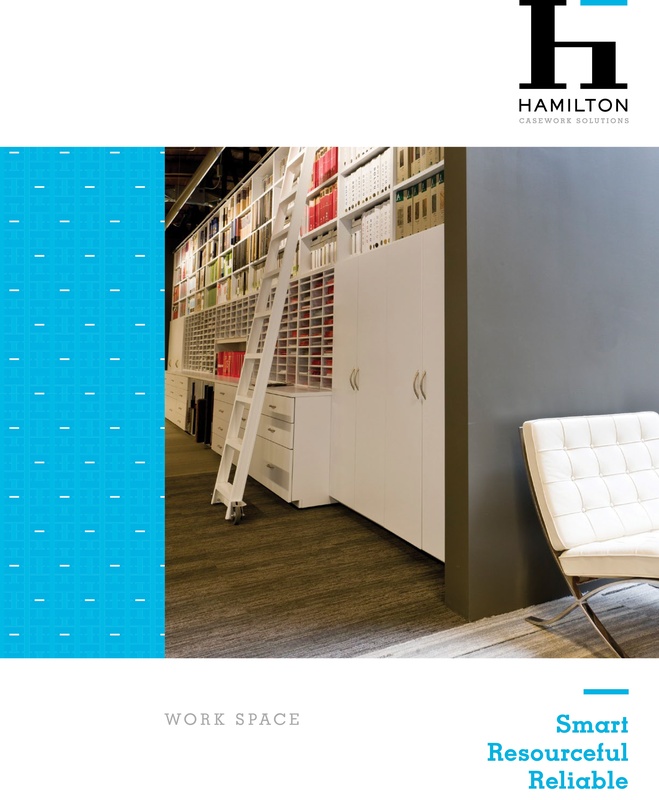 We help you design spaces where people want to gather and share ideas. Our in-house design team allows us to develop personalized solutions for each application. 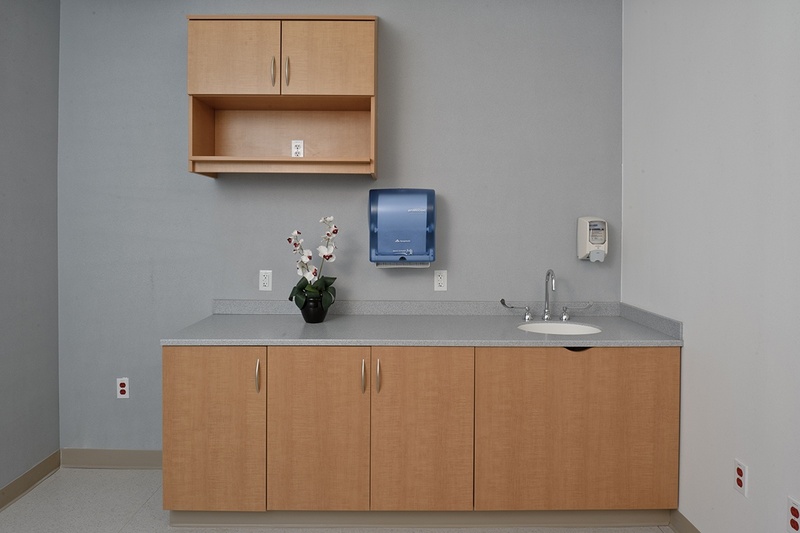 Casework for this hospital pantry is the perfect match for the components used in their patient rooms, nurses stations and reception area. Our comprehensive and flexible solutions allow you to create a consistent look and level of quality throughout your facility. 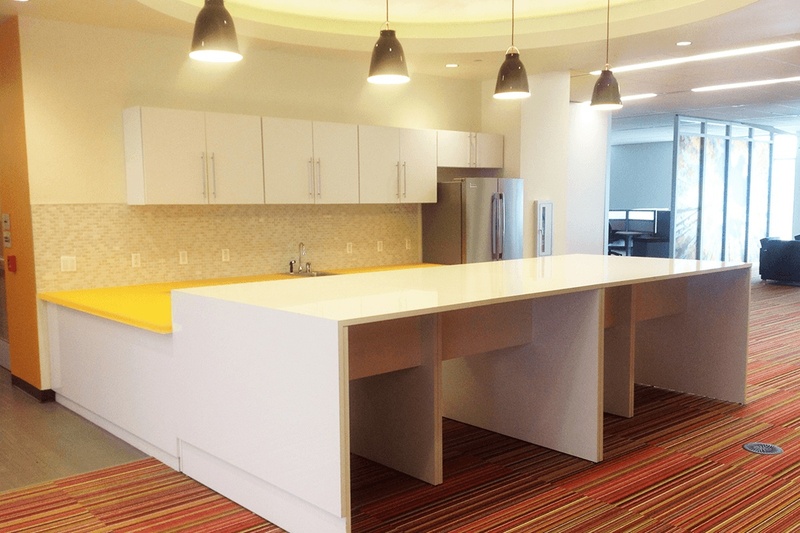 Our pantries come in any size and color, and can be reconfigured to adapt to a changing office environment. They offer commercial grade durability and a life time guarantee. Our casework offers much more flexibility over traditional millwork and can be adapted to fit any size appliance. Then it can be reconfigured, and reconfigured again. With traditional millwork, what you get is what you’re stuck with. See how our casework can transform your space.